Protecting your most valued asset from fraudulent claims against your ownership, liens, and undisclosed heirs are just some of the reasons you need title insurance. 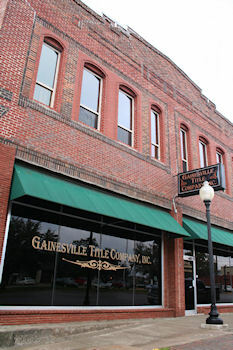 It's your investment and it's your choice: contact your Real Estate agent and insist on Gainesville Title Insurance. Making sure your sale closes smoothly and efficiently is one reason to choose Gainesville Title Company. Our professional staff are there to make sure your needs are represented fully and accurately. For title and escrow services that are unparalleled in the industry, insist on Gainesville Title when you speak to your Real Estate agent or attorney.